Biotechnology is predicted to be the key for the future, acting as the basis for solving global issues. Your study will see you learn about human and animal diseases, climate change, fuel alternatives and food security. Biotechnology uses living organisms to modify products for a specific human purpose, such as genetically modified crops or creation of a vaccine. The products of biotechnology are all around us and impact on our daily lives more and more as we learn to make living cells perform useful and specific tasks in a predictable and controlled way. Biotechnology is used to modify human health and the human environment and is currently used in genetic engineering; health and pharmaceuticals; plant and animal agriculture; food production; fuels; and waste management. Our teachers are leading researchers in biotechnology. We are home to 2012 NSW Scientist of the Year, Laureate Professor John Aitken, who is part of the reproductive science group currently investigating the cause of male infertility. 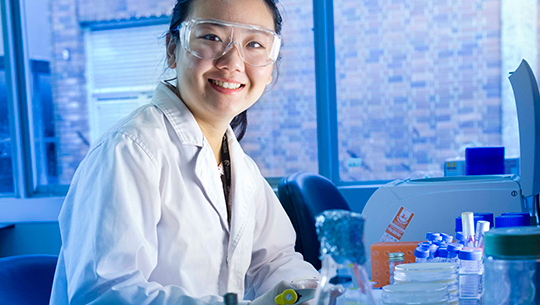 The longest Biotechnology placement in Australia - a 10 week full-time professional placement. We're globally recognised for excellence in scientific research - our Biology discipline, underpinning this degree, is ranked world-class and in the top 300 in the world. Our academic staff have strong ties to the biotechnology industry, increasing students' opportunities for work placement upon completion. Our Bachelor of Biotechnology has a particular focus on the application of DNA and cell technologies on human health, plant and animal agriculture and the environment. When you study biotechnology courses at UON, you will learn from academics who have been internationally recognised as leaders in their respective fields and who are working to solve real-world problems. Under their guidance, your study will have a strong focus on biology − both basic and applied with some chemistry and mathematics − and you will have a chance to enrol in elective courses from a range of areas depending on your interests and career ambitions. With increasing competition in all sectors of scientific employment, students who graduate with an Honours degree in biotechnology have a distinct advantage. It is often considered by employers as an added skill and has been used by previous graduates to pursue higher positions and salaries. As part of this degree you will develop and carry out research on a topic of interest, potentially leading to further academic study such as a research degree. You will also have worked in a biotechnology environment. 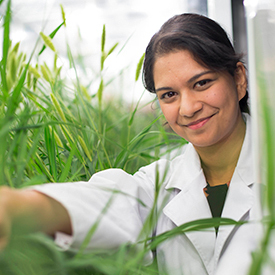 UON is a leader in research, with Research Centres in Reproductive Science and Crop Improvement. You will have the opportunity to be involved with research at the forefront of your field. Offered through the Faculty of Science, the Bachelor of Biotechnology (Honours) prepares you for careers in biotechnology as well as providing a pathway into research degree studies. A stand out feature of the Bachelor of Biotechnology is the 10-week full-time industrial placement completed in your final year. This is the longest placement available to students studying biotechnology in Australia. It allows you to apply what you have learnt to a biotechnology environment and broadens your experience in preparation for your future. In the third year of the degree you will also have the opportunity to spend a whole week at a time in laboratory training. These intense laboratory courses feature hands-on learning and teamwork activities that will help prepare you for the workplace. Bachelor of Biotechnology students are eligible to enrol in International Study where you can complete an international placement. International study opportunities help you expand the theoretical knowledge and skills developed throughout your degree and apply them in an external and international context. The following list provides some examples of job titles that may be available to Biotechnology graduates. Some of these jobs will depend on the amount and level of study, level of experience, the combination of other majors and electives studied. Some jobs below may also require further study. The following list provides some examples of job titles that may be available to Biotechnology graduates. Some of these jobs will depend on the amount and level of study undertaken, level of experience, the combination of other majors and electives studied, and some may require further study. Not everyone uses their degree in the same way and the transferable skills gained through university study may allow graduates to pursue a range of careers that might not be directly linked to their study. Below is a sample list of job titles that might be suitable for graduates with the skills gained in a Biotechnology degree. Graduates may apply for membership to AusBiotech, Australia's Biotechnology Organisation. You may also apply for membership with specialist societies such as the Australian Society of Biochemistry and Molecular Biology. Where could a career in research take you? 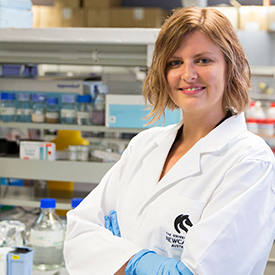 Former Biotech student turned researcher Dr Kate Redgrove has been recognised for her outstanding research into the male reproductive system. 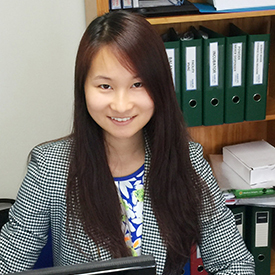 Cleo Zhou commenced placement in 2011 with medical devices company Mobilife, who she is now employed by. The placement allowed Cleo to develop skills including work professionalism, self-initiative, and project management. 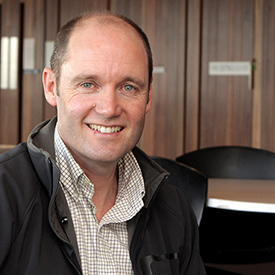 Professor Brett Nixon’s fascinating research findings may have significant implications for both human fertility and animal conservation.